The need to honour, recognise and celebrate the contributions, commitments and sacrifices of great men and women in our democratic circumference has become sine-qua-non, as the 2018 edition of Democracy Heroes Award takes up the mantle of responsibility. This was made known to newsmen through a press release from the convener of the award event, Face of Democracy Nigeria. According to the convener, Mr Alexander Ajagbonna aka Fajag, the award is aimed at encouraging Democrats, promoting democracy and install a responsive atmosphere that will continuously protect and preserve our democracy. 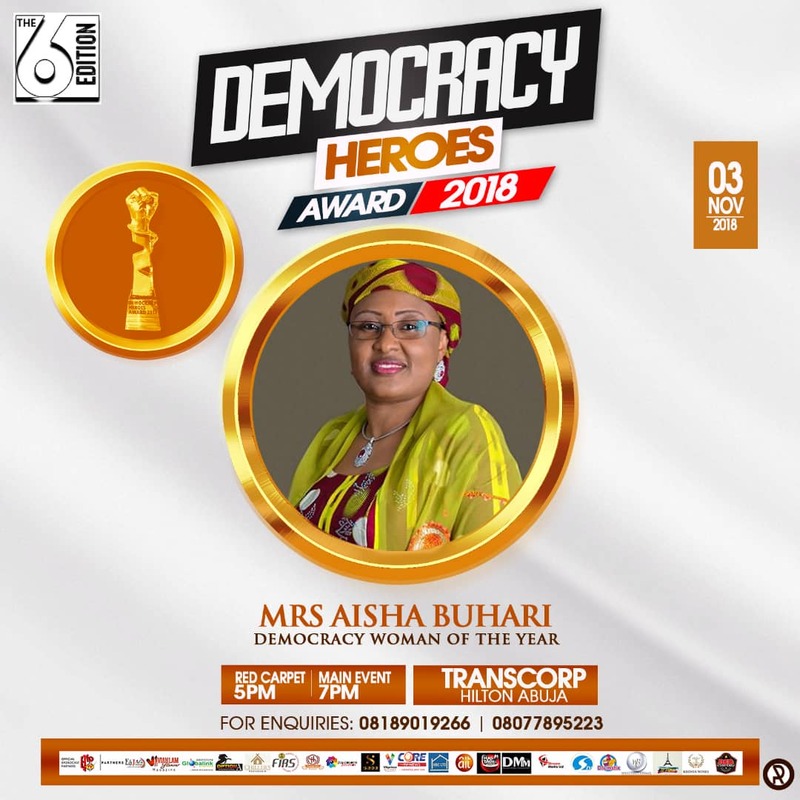 However, the 2018 prestigious edition of Democracy Heroes Award will be held on the 3rd of November, at the Transcorp Hilton Abuja, with intriguing performance and presentations by comedians, actors, DJs, Poets and popular Nigeria musicians. 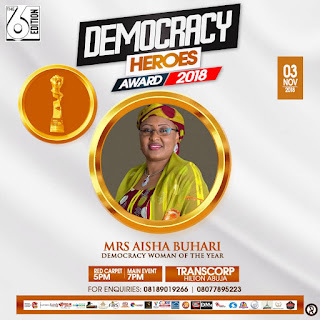 Amongst the few reputable award nominees are, the wife of Nigeria President, Mrs. Aisha Buhari, as the Democracy Woman of the year, HE Governor Seriake Dickson, as Democracy Best Performing Governor of the Year, HE Governor Mohammad Badaru, Democracy Outstanding Governor of the Year, Sen. Philip Aduda, as Democracy Iconic Senator of the Year, Dr. Babatunde Fashola, as Democracy Excellence in Public Service of the year and other very outstanding contributors in several impact categories. 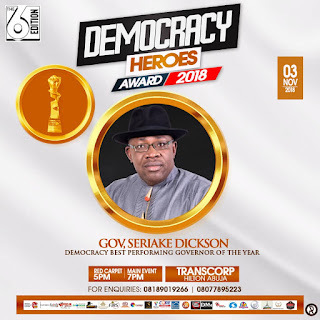 The event which will also honour democratic institutions like the Federal Inland Revenue Service - FIRS, as the Best Performing Government Agency of the Year, alongside other personalities like, Sen. Shehu Sani, Sen. Ibinna Ogba, Mr. Valentine Ozigbo, Mr. Obinna Iyeigbu, Mr. Shina Abiola Peller, Mr. Jide Adeniran, Mr. Steve Azaiki and Mr. Rashida Bello. The glamour event which is proudly supported by FIRS, will however be hosted by popular Nancy Isime and IK Ogbonna in a humorous disposition of its' program of events.